In the past year or so, it has come to be a known fact in Bitcoin technical circles that Bitcoin, in its current form, is partially quantum-safe. The claim is that \xe2\x80\x9cused\xe2\x80\x9d Bitcoin addresses \xe2\x80\x93 that is, addresses which have both received and sent bitcoins, have their corresponding public key exposed on the blockchain, allowing quantum-enabled adversaries to break Bitcoin\xe2\x80\x99s elliptic curve cryptography, whereas \xe2\x80\x9cunused\xe2\x80\x9d Bitcoin addresses, which may have received bitcoins but have never been spent from, do not have their public keys exposed, allowing them to benefit from the much stronger cryptographic guarantees of SHA256 and RIPEMD-160. As long as the first transaction spending from any Bitcoin address empties out all of the funds stored in that address to new addresses as change, the theory goes, Bitcoin should remain just as secure as before. In fact, since most wallets already try not to reuse addresses to increase privacy, for most users only minor software changes would be needed to satisfy the more stringent security condition, so adapting to quantum computing would be a breeze. This argument has been made by many people in the Bitcoin community, notably including myself. In reality, however, the argument has a fatal flaw. First, the technical background. In a Bitcoin user\xe2\x80\x99s wallet, each of that user\xe2\x80\x99s own Bitcoin addresses is represented by three distinct numbers: a private key, a public key and the address itself. The public key is derived from the private key by elliptic curve multiplication, and, given only classical computers like those that exist today, recovering the private key from a public key is essentially impossible. 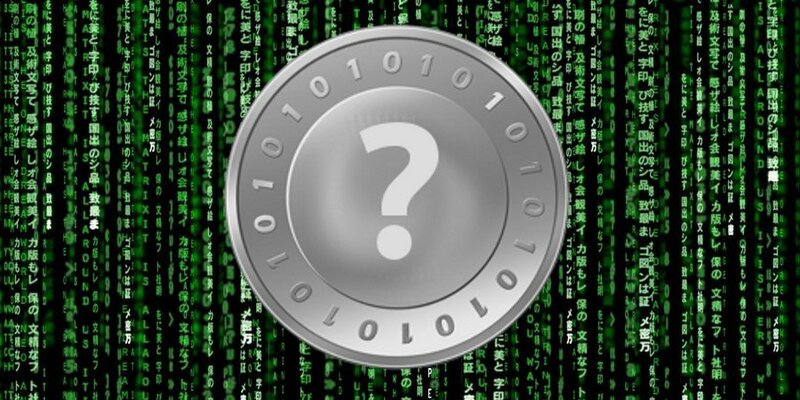 The address is derived from the public key by a series of three steps: applying the SHA256 hash function to the public key, applying the RIPEMD-160 hash function to that and finally adding a value called a checksum for error correction purposes (so that if you accidentally mistype a single character when sending to a Bitcoin address your money does not disappear into a black hole). The point of hash functions is that, just like elliptic curve multiplication, they are computationally infeasible to reverse; given an address, there is no way, aside from the brute force approach of trying all possible public keys, to find the public key that the address is derived from. Quantum computers have two major tools that make them superior to classical computers in breaking cryptography: Shor\xe2\x80\x99s algorithm and Grover\xe2\x80\x99s algorithm. Shor\xe2\x80\x99s algorithm is mainly useful for factoring numbers \xe2\x80\x93 for example, given the number 1728499, figuring out that the number is composed of the factors 1129 * 1531. With seven-digit numbers, the problem can even be solved on paper with enough patience, but if the numbers are hundreds of digits long quantum computers are required. In fact, the difficulty of factoring very long numbers is the basis of RSA, the oldest public key encryption algorithm and one still in use today. Grover\xe2\x80\x99s algorithm is far more generic \xe2\x80\x93 given a list of numbers and a mathematical property, it can figure out which one of those numbers satisfies the property. A modified version of Shor\xe2\x80\x99s algorithm can crack elliptic curve cryptography as well, and Grover\xe2\x80\x99s algorithm attacks basically anything, including SHA256 and RIPEMD-160. However, the two algorithms differ drastically in just how efficient they are. Shor\xe2\x80\x99s algorithm reduces the runtime of cracking elliptic curve cryptography from O(2k/2) to O(k3) \xe2\x80\x93 that is to say, since Bitcoin private keys are 256 bits long, the number of computational steps needed to crack them goes down from 340 trillion trillion trillion to a few hundred million at most. Grover\xe2\x80\x99s algorithm, on the other hand, does not offer anything close to so drastic a speedup. Rather, it simply provides a modest reduction from O(2k) to O(2k/2). In the case of RIPEMD-160, the weaker of the two hashes used to create a Bitcoin address, this means that the number of steps needed to recover a public key from an address goes down from 1.4 trillion trillion trillion trillion to \xe2\x80\xa6 1.2 trillion trillion. Somewhat easier, but still thankfully impractical. As described above, \xe2\x80\x9cused\xe2\x80\x9d Bitcoin addresses from have an exposed public key, so it is the easy challenge of cracking elliptic curve cryptography with Shor\xe2\x80\x99s algorithm that is the bottleneck. \xe2\x80\x9cUnused\xe2\x80\x9d Bitcoin addresses, on the other hand, expose only the address itself, so it is the RIPEMD-160 Grover problem that poses the weakened, but still insurmountable, challenge. Here is where the above logic goes wrong. Everything about quantum computers in the above two paragraphs is, given public knowledge, is essentially correct, and if a Bitcoin address is truly unused, then indeed, even given quantum computers, any bitcoins lying inside are fine. However, the challenge is, how do you actually spend the funds? In order to release the bitcoins sent to that address, it is necessary to create a Bitcoin transaction, and that transaction must include a signature and a public key to verify that it was the owner of the private key that signed it. However, here lies the problem. By making that transaction, you have just released all of the information that anyone with a quantum computer needs to fully impersonate you, right on the spot. Without quantum computing, this is impossible, as Bitcoin\xe2\x80\x99s elliptic curve signatures only have enough information to recover the public key, not the private key. With quantum computing, elliptic curve signatures are as flimsy as a digital sheet of paper. If you send a transaction spending all 100 BTC in address 13ign, with 10 BTC going to 1v1tal to pay for goods and 90 BTC change going back to your new address at 1mcqmmnx, the first node that you send the transaction to can replace the change address with whatever they want, recover the private key from your public key, and forge your signature. The only way to get around the problem is essentially to send the transaction directly to a mining pool, like BTCGuild or Slush, and hope that the mining pool will be honest and place the transaction directly into the blockchain. Even then, however, you are vulnerable to a Finney attack \xe2\x80\x93 a dishonest miner can forge your signature, create a valid block containing his forged transaction continuing the blockchain from one before the most recent block (the one containing your transaction), and, since the lengths of the old and new blockchains would then be equal, the attacker would have a 50% chance of his block taking precedence. Thus, safe transactions are essentially impossible. Basically, the purpose of hash functions is to provide us with the mathematical equivalent of a lock. Publishing the hash of a value is similar to putting out a lock in public, and releasing the original value is like opening the lock. However, once the lock is open, it cannot be closed again. The problem is, however, that locks by themselves cannot make a secure digital signature scheme. What elliptic curve cryptography provides, and SHA256 and RIPEMD-160 do not, is a way of proving that you have the secret value behind a mathematical lock, and attaching this proof to a specific message, without revealing the original value or even making the proof valid for any other message than the one you attached. In Bitcoin, the message in question is a transaction. When your Bitcoin client sends a transaction to the network, what it is really doing is sending a mathematical proof of the following fact: this transaction, which states that I am sending this amount of money to this address, was constructed by someone in possession of the private key behind the Bitcoin address I\xe2\x80\x99m sending from. This is the basis for the transactional side of Bitcoin\xe2\x80\x99s security. However, there is a construction that enables us to solve this problem without RSA, elliptic curves or any other traditional public-key cryptographic system: Lamport signatures. A Lamport signature is a one-time signature that gets around the lockbox problem in the following way: there are multiple locks, and it is the content of the message (or rather, the hash of the message) that determines which locks need to be opened. If someone tries to forge your message, it is almost certain (read: the sun will run out of hydrogen before the other scenario happens) that the Lamport signature scheme will require them to open at least one lock that you did not open already \xe2\x80\x93 which they, lacking the unreleased secret values, will not be able to do. Generate 160 pairs of 160-bit random numbers (you can make them all from a single seed with RIPEMD-160: RIPEMD-160(seed+\xe2\x80\x9d1\xe2\x80\xb3), RIPEMD-160(seed+\xe2\x80\x9d2\xe2\x80\xb3), etc). These values, or in some implementation the seed used to generate them, are your private key. Hash all of the random numbers (eg. with RIPEMD-160), and publish all 160 pairs of hashes. These are your public key, and will be needed by the network to later verify your signature. To sign a message, calculate the RIPEMD-160 hash of the message, and then depending on each bit of the hash release the secret number behind the first or second hash in each pair. If the bit is zero, open the first hash, and if the bit is one open the second hash. Under this scheme, a Bitcoin address will still be the SHA256+RIPEMD-160 hash of the public key; the only difference is that the public key will consist of 320 hashes rather than an elliptic curve point. A transaction will include the public key and the signature, just like today, and, once again just like today, verifiers will check that the public key matches the address and the signature matches the message and the public key. The signatures are unforgeable; even with Grover\xe2\x80\x99s algorithm, it will take 280steps for an adversary to construct a fraudulent transaction that requires them to reveal the exact same 160 secret numbers that you already revealed, or an adversary can take 280* 80 steps to simply crack all the hashes. Both numbers are in the trillions of trillions of computations. The only change in behavior that will be needed is for people to start using addresses only once; after two uses, the security of the Lamport scheme drops to 240, a value which might still be safe against quantum computers at first, but only barely, and after three uses it\xe2\x80\x99s as weak as elliptic curve cryptography. Theoretically, however, even this can be partially overcome; the Merkle signature scheme builds off of Lamport\xe2\x80\x99s idea to create signatures which can be used tens or hundreds, or potentially even thousands, of times before the private key needs to be retired. The only limit to the maximum number of transactions per address is basically a question of limiting blockchain bloat. Given what is currently public knowledge, quantum computers are still far away; the most powerful quantum computer to date managed to use Shor\xe2\x80\x99s algorithm to factor the number 21. However, sudden advances are always possible, and we always need to have a plan of what we can do if Edward Snowden decides to leak out that the NSA has fully functional quantum computers hiding in a secret data center. We probably cannot handle such a sudden event, but we certainly can handle cases where we get even a month of advance warning. The solution is this: as soon as a quantum pre-emergency is declared, everyone should move their wealth into a 1-of-2 multisignature transaction between an unused, old-style, Bitcoin address, and an address generated with the new Lamport scheme. Then, developers should quickly create the Lamport patch for as many Bitcoin clients as possible and push for everyone to upgrade. If the whole process is done within weeks, then by the time quantum computers become a threat the bulk of people\xe2\x80\x99s bitcoins will be in new-style Lamport addresses and will be safe. For those who still have their wealth in old-style addresses by then (unused old-style addresses that is; by that point coins in used old-style addresses could trivially be stolen), a few established organizations will agree to serve as trusted nodes, using the Merkle signature scheme to add an additional signature to transactions sending from old-style addresses to new-style addresses. To prevent network fraud and Finney attacks, the new Bitcoin rules would require all transactions from old to new after a certain point to be signed by these authorities. The authority system will introduce centralization, but it will only be a temporary emergency measure, and after a few years the system can be retired entirely. From there, we lick our wounds, pick up our losses and move on to enjoy some of the more wonderful things that quantum computing has to offer.